Legendary Jamaican roots singer Prince Alla – sometimes Prince Allah or Ras Allah – cut a number of haunting and heavyweight roots numbers in the late 70s. And his rare debut album Heaven Is My Roof is a bona fide masterpiece. His second album was oddly titled The Best of Prince Alla and collected singles for the Freedom Sounds label. This great set has now been reissued by France’s Iroko Records. It comes with only eight tracks, of which two are ferocious discomixes with lethal dub mixing courtesy of Scientist. Best of bunch is album opener Youth Man with its bulldozing bass line and drums crashing down like lightning. The dub version confirms its feeling of brimstone and fire. Other highlights are stone-cold classics like the eerie Stone or the dark and dread Lot’s Wife. Prince Alla has never been quite as prolific as many of his peers, but many of his recordings have proven to be landmarks in the history of reggae music. Legendary 70s roots singer Prince Alla, initially known as Ras Allah, hasn’t recorded much in recent years and he wasn’t actually particularly productive – by Jamaican standards – even in his heydays in the late 70s and early 80s. He recorded a number of roots landmarks, but his most recent albums are from more than ten years ago and was recorded together with Jah Warrior. Now – however – he has joined forces with M7 Allstars and Dubvisionist to create the solid twelve track showcase set Run Come. It’s a reflective and cultural set collecting several nods to the past yet it remains firmly rooted in contemporary production techniques with its shiny sonic landscape. 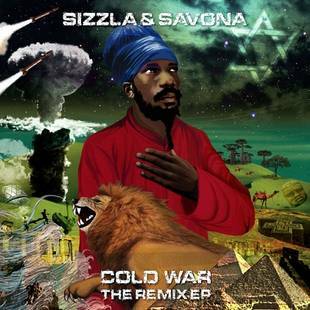 The title track is a version of his massive Gather Round – produced by Jah Shaka and released in 1996 – and on Pillar of Salt Prince Alla returns to his Lot’s Wife. Run Come has a deep and rootsy atmosphere with militant beats and a haunting soundscape. File next to the recently reissued The Best of Prince Alla which collects rock-solid classics like Stone, Bucket Bottom and Sun is Shining.